A gambling enthusiast from the state of Kerala has attained millionaire status after winning big time in the Abu Dhabi lottery. The Indian national in question, Sreeraj Krishnan Kopparembil, took home a stunning Rs 12,71,70,000 in cash courtesy of a Big Ticket. Kopparembil is still in a complete state of shock after getting lucky in the Abu Dhabi Big Ticket Draw. The 33-year-old gambler, who moved to the United Arab Emirates (UAE) back in 2008, is employed as a shipping coordinator in the ‘land of emirs and sheikhs’. 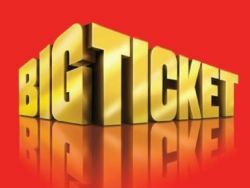 Many overseas workers from India like to buy Big Tickets for the popular raffle as a leisure activity, and Kopparembil buys tickets on a regular basis. This Rs 12,71,70,000 jackpot marks his first big win in the Abu Dhabi Big Ticket Draw. “I was overcome with emotion and could barely talk when I heard the news about the life-changing win,” the Indian expat commented. Kopparembil said he has no immediate plans for the smashing lottery bonanza, but hopes it will change his life for the better. “I need some time to let things sink in,” the 33-year-old added. He intends to use the massive lottery win to settle some debts, including his mortgage in his homeland.